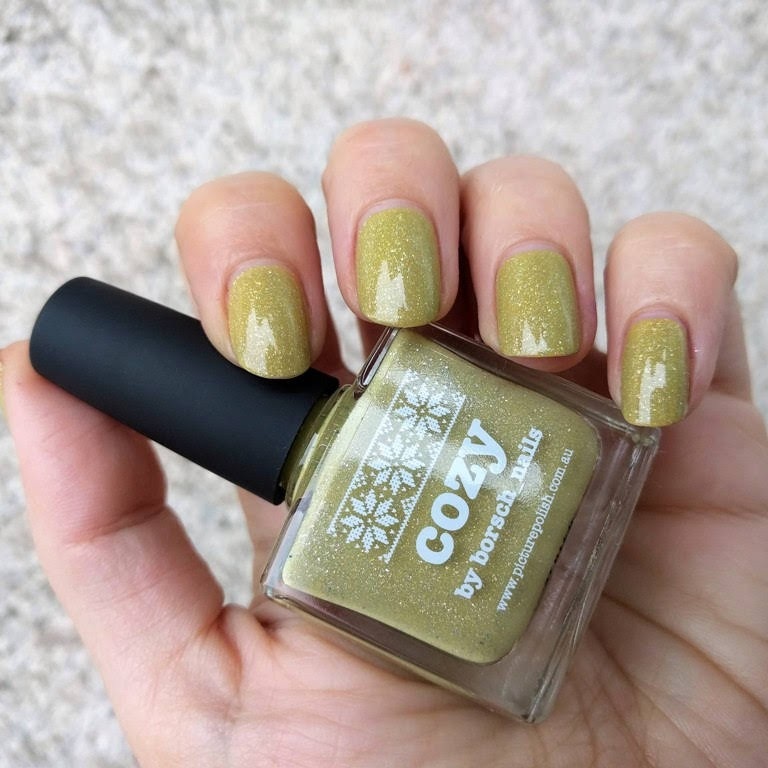 picture polish collaboration line is very versatile, you can find your regular colours (with a twist) or something that might not be everyone's cup of tea. 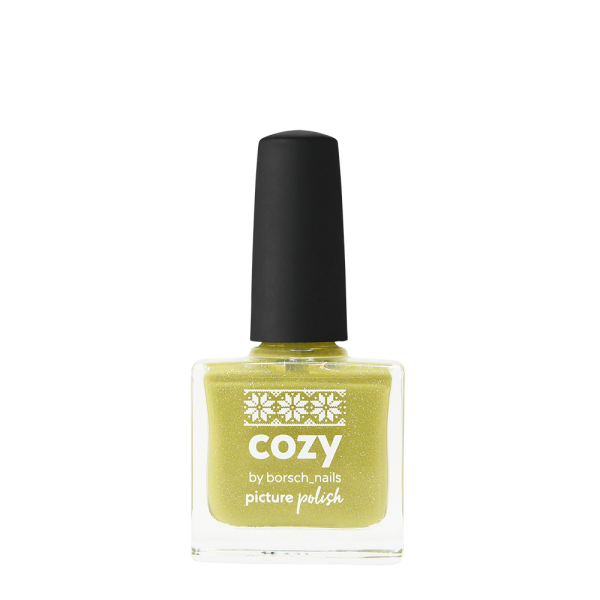 cozy, created with borsch nails in 2017, is one of those shades. 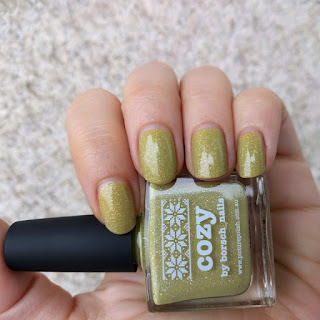 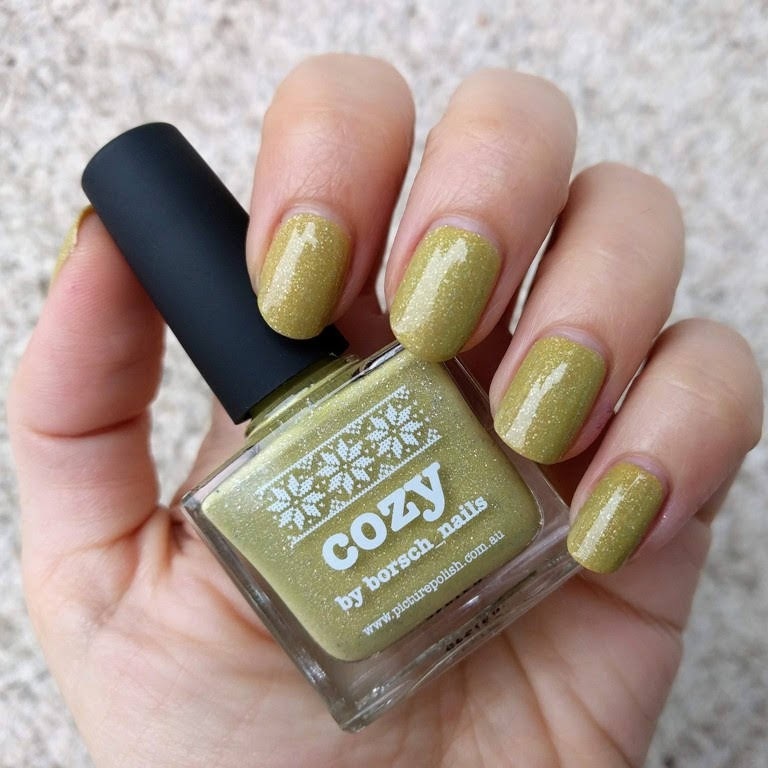 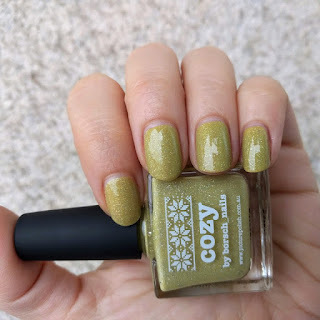 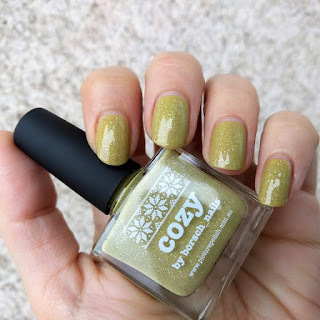 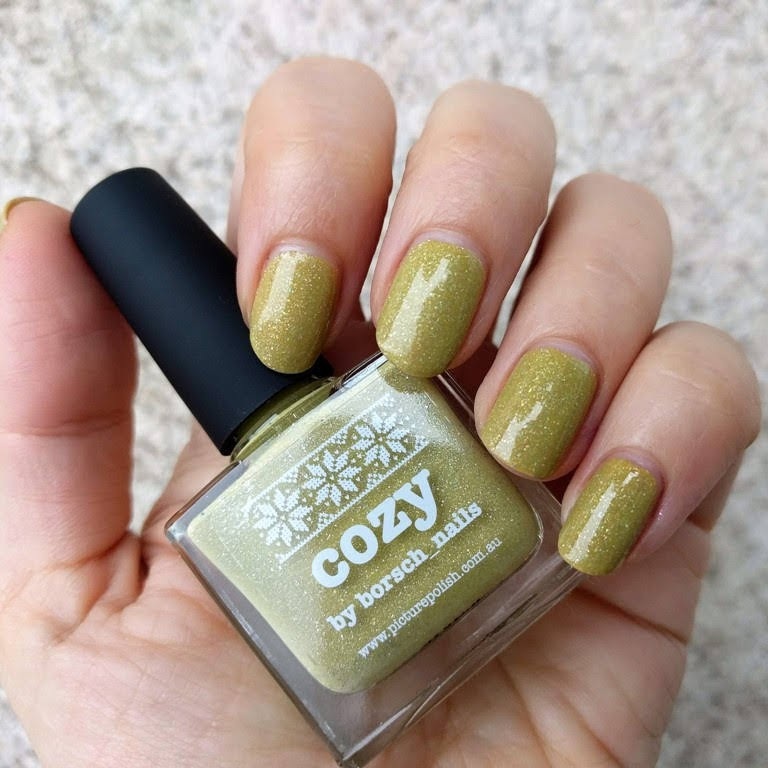 cozy is a very unusual coulour, mustardy-yellowish green with holo flakes. definitely a shade that i am into. it is also a bit of a chameleon, it looks different every time!